Buck Wear NRA High Visibility Orange Cap - Hat | BUDK.com - Knives & Swords At The Lowest Prices! They will definitely see you with the Buck Wear NRA High Visibility Orange Cap! 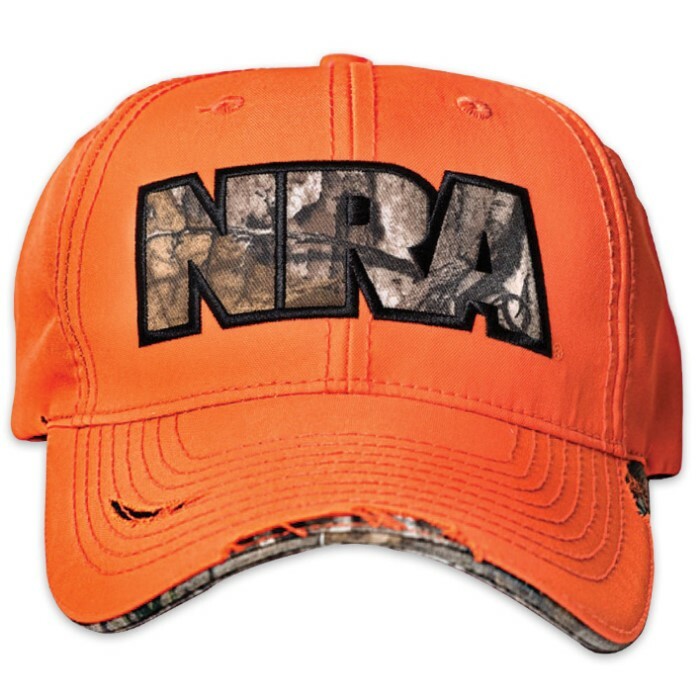 The safety orange, low crown baseball cap features a Realtree Xtra camo filled NRA logo. The design is appliquéd on the front of the hat. It has an adjustable back strap so that one size fits all. This is an officially licensed product.